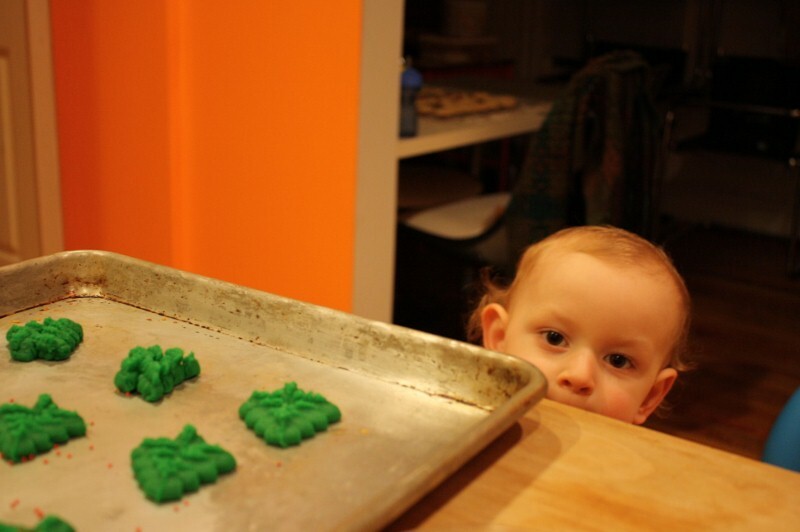 A very fond Christmas memory for me is helping my Granny make spritz cookies. She is the one who taught me to bake when I was very young…we baked cookies pretty often, and she let me do a lot of the work. But spritz was my favorite! I loved twisting the top of the spritz-maker, squeezing out dough in cute little shapes. She let me pick the shapes, and most of them turned out being either too fat or too skinny. But the point was that she let ME do it, and I felt so proud! And then we got to decorate them with colored sugars and silver baubles, making them into perfect little Christmas treats. 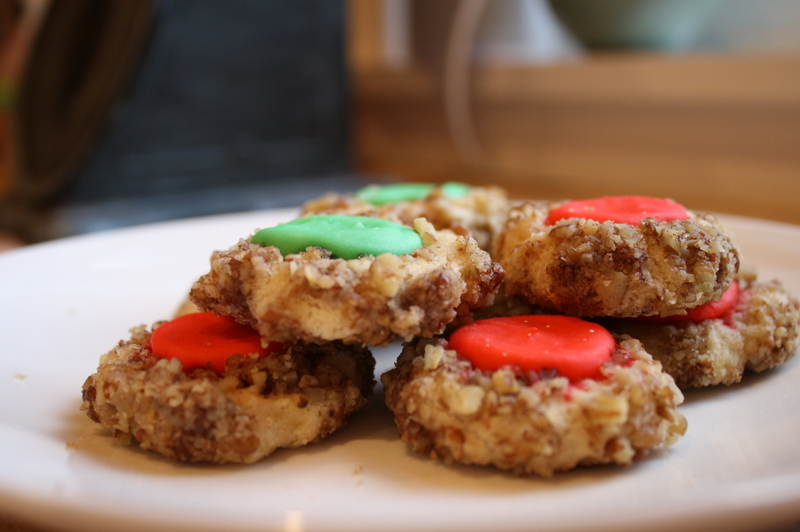 I actually didn’t much like eating spritz cookies when I was a kid (I was more of a thumbprint cookie lover); I didn’t get a full appreciation for them until I was an adult. But now they’re one of my favorites…little butter-citrus bites that are the perfect size. I always make citrus-flavored (because that’s what Granny always made), but you can do all sorts of variations on them, which I will give instructions for below. 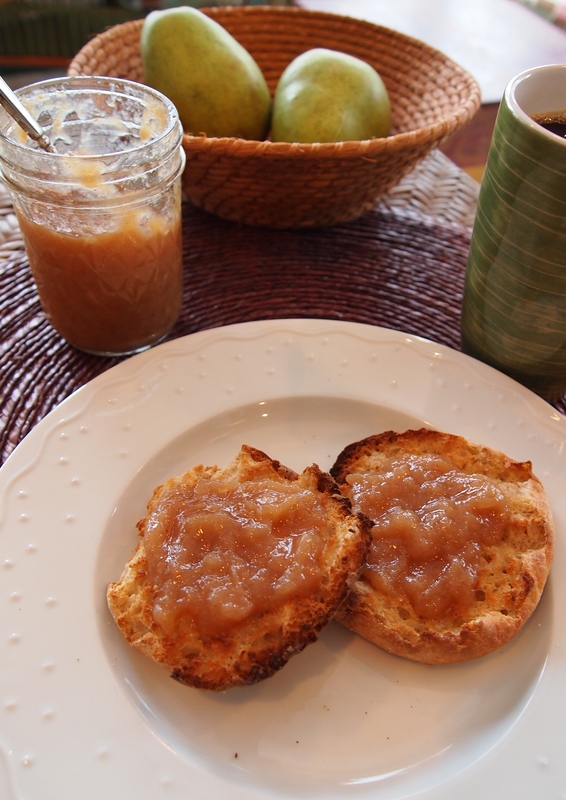 I got these recipes out of last year’s Martha Stewart Living December issue…it is very similar to, if not the same as Granny’s. 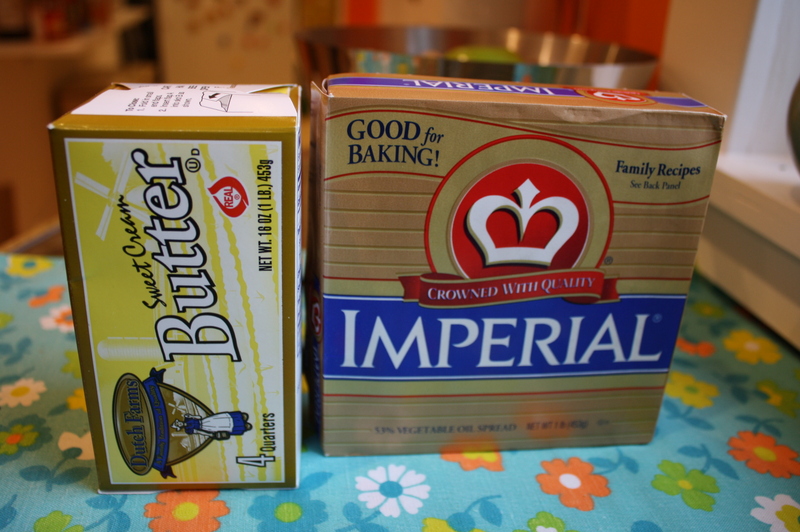 Beat butter and granulated sugar with a mixer on medium-high speed until pale and fluffy. Beat in egg, lemon zest, lemon juice, and salt until fully combined, about one minute. Add flour, and beat on low speed until just combined (do not overbeat). If tinting the dough, divide it into separate bowls and mix in the food dyes. Just make sure you’re not overworking the dough so that it doesn’t make tough cookies. Replace citrus zest and juice with 2 tsp pure vanilla extract. Replace 1/3 cup flour with 1/3 cup unsweetened Dutch-process cocoa powder, and citrus zest and juice with 2 tsp vanilla extract. Add 1 1/2 tsp ground cinnamon, 1/4 tsp ground allspice, and 1/3 tsp freshly ground pepper when you add the flour mixture. Replace citrus zest and juice with 2 tsp vanilla. Knead dough briefly to soften. 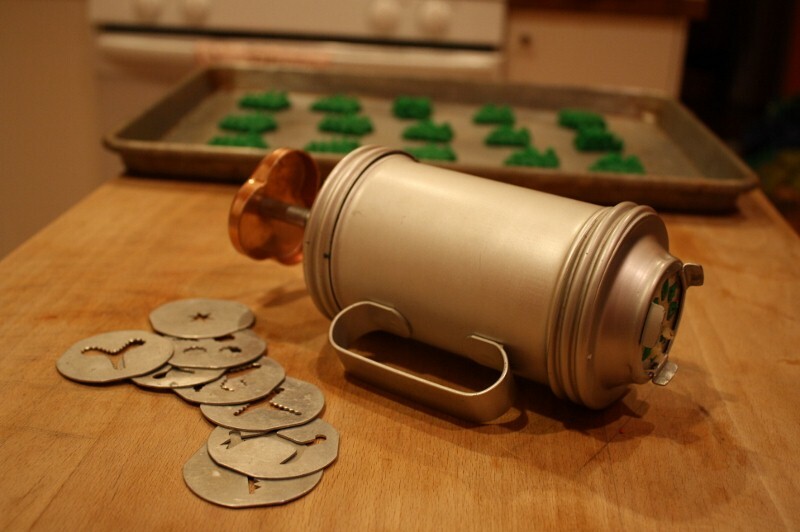 Fill a cookie press with dough and fit with disk to make shapes (Mirro made a great cookie press, you can find lots of them on Ebay). 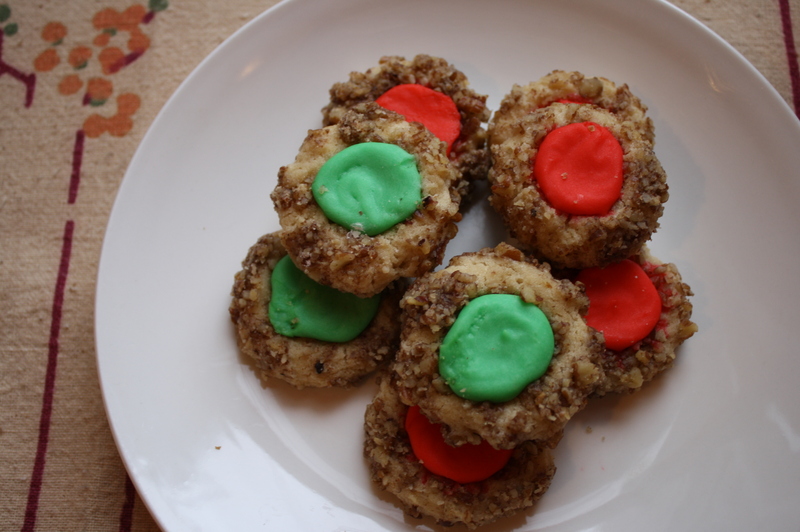 Squeeze cookies directly onto a baking sheet. Sprinkle with sanding sugar (optional). Bake at 350 degrees until firm, 12-14 minutes. Let cool completely on cooling rack before glazing (also optional…last year I glazed because I had time, this year I didn’t. I think they’re just as good without glaze. Granny never glazed. 🙂 ). Mix all ingredients together in a large bowl. 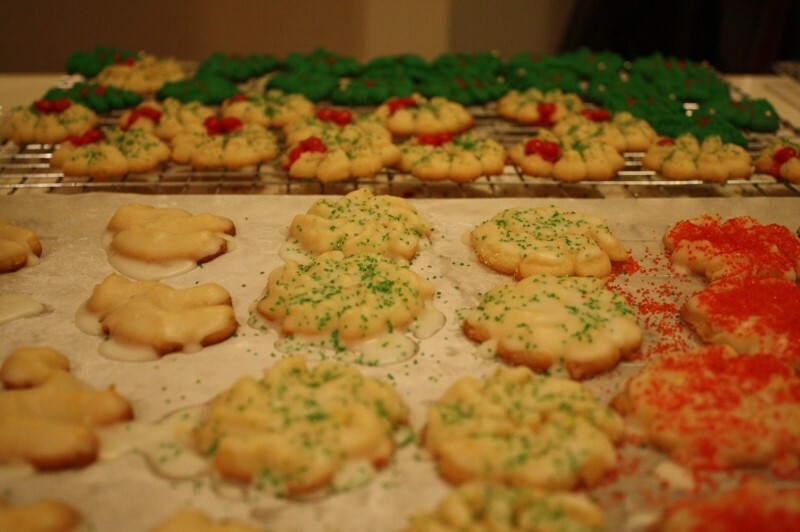 Dip tops of cookies in glaze, decorate with sanding sugars or small candies while glaze is still wet. Let set on wire rack.